His Holiness, Pope Francis has appointed His Grace, Most Reverend Ignatius Ayau Kaigama the coadjutor Archbishop of Abuja. 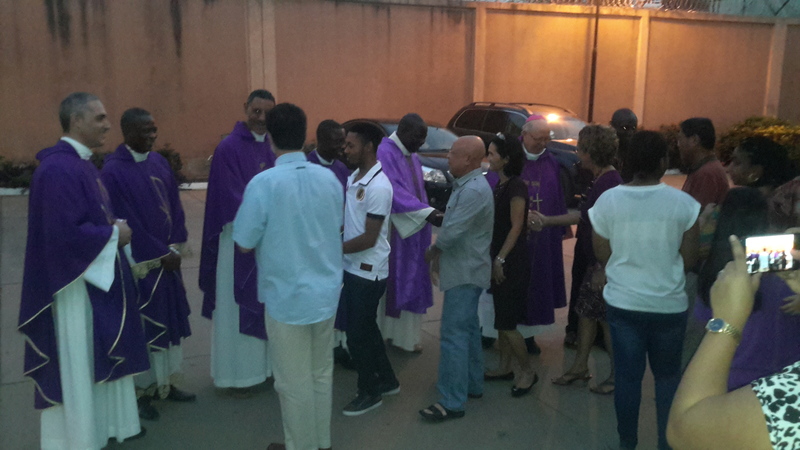 Pope Francis, represented by the Apostolic Nuncio to Nigeria, His Grace, Most Reverend Antonio Guido Filipazzi, made the announcement on Monday, the 11th day of March 2019 in Abuja during the opening ceremony of the first plenary meeting of the Catholic Bishops Conference of Nigeria. Kaigama will take over from His Eminence, John Cardinal Onaiyekan, who reached the retirement age of 75 years on Jan. 29, 2019. “We congratulate and pray for Archbishop Kaigama. We know that it is not easy for him but like Abraham every priest or bishop is imbued with a sense of mission. There is that tiny voice that resounds, “go out of your land to the land God will show you and God will bless you and make you the father of many people,” Filipazzi said. The new Catholic coadjutor Arcbishop of Abuja is a priest of Jukun origin from Taraba. Born on July 31, 1958, Kaigama studied for the priesthood at St. Augustine’s Major Seminary in Jos and Rome respectively. He was ordained priest on June 6, 1981, and was appointed Bishop of Jalingo by Pope John Paul II, now Saint Pope John Paul, and later consecrated as bishop on April 23, 1995. In 2,000, Kaigama was again appointed by Pope John Paul II to succeed the late Archbishop Gabriel Ganaka as Archbishop of Jos. RECOWA-CERAO wishes her president the best in this new office.